Situated on a quiet road in a popular residential area, this attractive, two double bedroom first floor apartment makes for a perfect first home or investment. 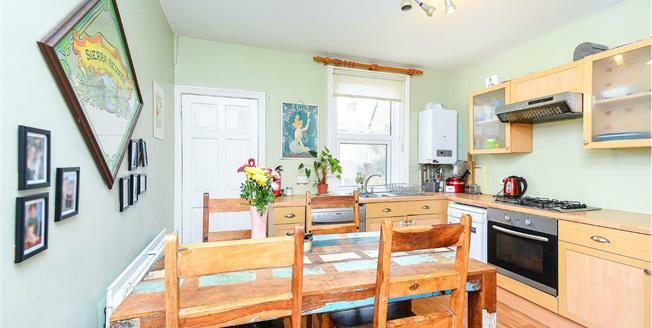 Elevated off of the street level, the property consists of two double bedrooms, a spacious kitchen which has plenty of cupboard space as well as room for a dining table plus there is also a separate living room. There is a large family bathroom to the rear of the apartment and being first floor, there is also access into the loft which is ideal for storage. The sunny patio garden which is accessed from the rear of the property, has a terrace with steps leading down to the main garden.